Just under a year ago NZXT launched the first iteration of its CAM PC monitoring software. CAM is a free utility which doesn't require any installed NZXT hardware to fully function. With CAM NZXT sought to provide an all-in-one real-time monitoring utility with cloud and smartphone app integration. Now the firm has just launched version 2 of this free software utility. NZXT says the new features in CAM 2.0 include "double the data detection, a customizable interface and a highly functional FPS overlay". We are assuming 'double the data detection' refers to a faster sensor sampling rate but it isn't explained elsewhere in the program documentation. CAM 2.0 offers up a modular dashboard which is customisable. Users can easily monitor network speeds, storage space, component temperatures and load usage over time. The addition of comprehensive data on CPU / GPU specifications, motherboard voltages, HDD S.M.A.R.T. data and more expands this program's utility value. The size of the control panel can be adjusted to show only the components you are interested in with customised backgrounds and colours, from a snazzy full command centre down to a discrete widget-type UI. 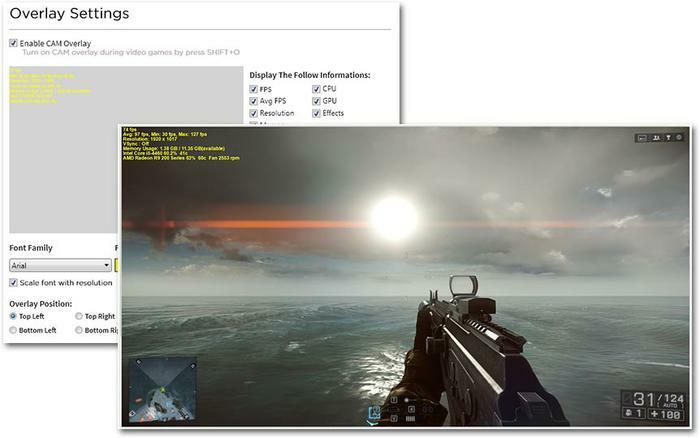 A particular standout feature that might interest gamers is the new in-game overlay that allows you to seamlessly monitor your frame rate, CPU/GPU usage, temperatures and more while gaming. The data shown in your game can be toggled easily via the controls shown in the screen shot below. 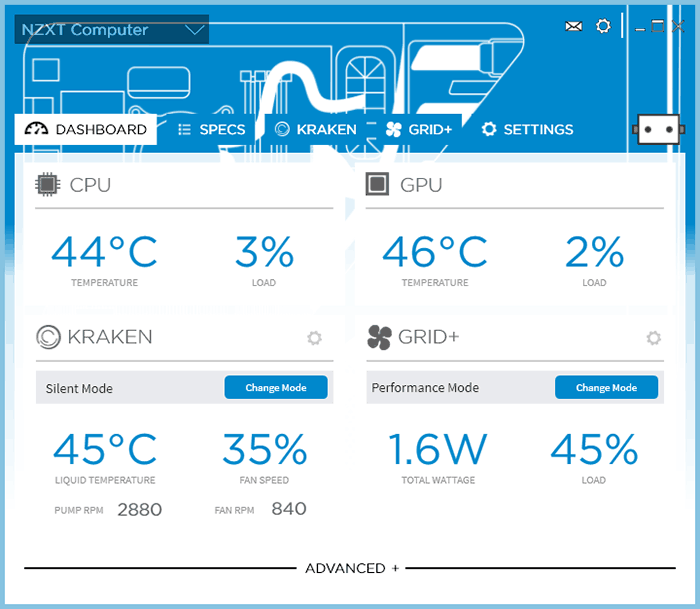 While, as mentioned, CAM 1 or 2 require no NZXT hardware, users of NZXT components such as the GRID+ or Kraken coolers can enjoy enhanced tweaking and control of their devices through the CAM 2.0 UI. It's good to see more of this kind of software being made available and updated. CAM 2.0 is a 25MB download (down from the 60MB download of its previous incarnation) and is available now. If you decide to sign up you can also take advantage of historical PC monitoring data, a mobile app for iOS/Android and use it to track multiple PCs. I hope it works better than the first version. Not seeing where this offers anything more than HWInfo, or Afterburner/Precision (for Nvidia) or similar for AMD.